My favourite pet would be a dragon. But I do not have a dragon, so I will write about the only pet I have. This is Bacon. 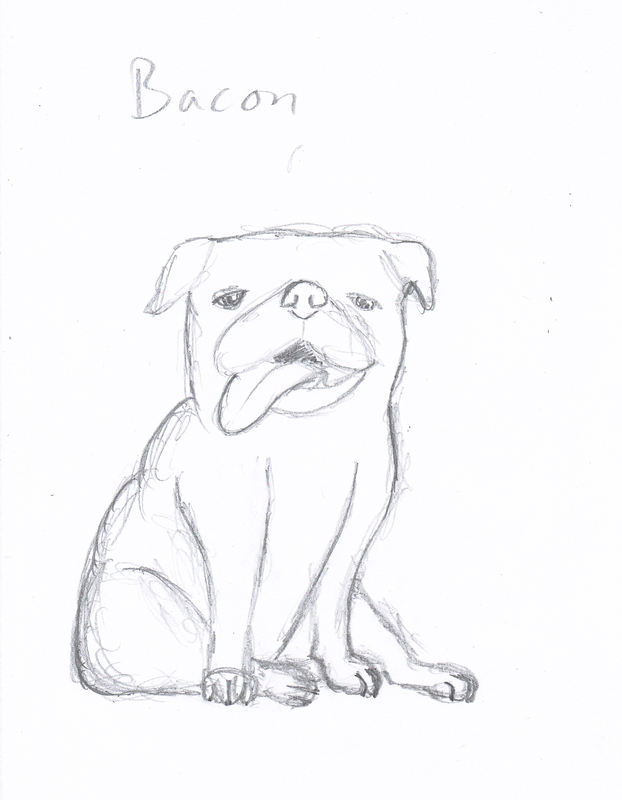 Bacon is a dog. He does not know his age because he does not know how to read a calendar, like I do. And he not as smart as me and therefore he cannot read a clock either like I can. So every time I go to school and tell him that I will be back by two o’clock in the afternoon, he just sits with his tongue lolling looking like Lickitung. A dragon would fly me to school. Bacon is a coward as well. He NEVER chases the neighbor’s cat even though everyone knows that cats and dogs are mortal enemies. If I had a dragon, it would roast the cat with its dragon fire and eat it whole. And then Bacon is lazy. He will not even go up the stairs. A dragon would be too big to get in the house, but if it had stairs big enough, it would run up them at the speed of light. And that is why I wish for a dragon this Christmas. ‘Aren’t you a bit hard on Bacon,’ he asked after having read his son’s essay. The father looked at the essay, then down at bacon and wondered when he stopped believing that animals could understand him. ‘Did you read the last line?’ asked his son. His son nodded and the father considered if he should tell his son that Smaug died a long time ago and did not leave any children, or if he should just try to make his son believe that middle earth did not exist. Me: Where did my post go? Me: How many times must I tell you? My posts are not for eat! Me: No nom! No eat! No! As you can read above, Bacon ate my post, so that’s why there was no update yesterday. Also, I have suddenly fallen victim to amnesia, so I cannot just write it anew. But on the bright side I can say that I have been very productive with respect to my new project. Yes, I have begun a new novel and have come quite a way already (look at the fancy progress bar 🙂 (it’s a working title)). 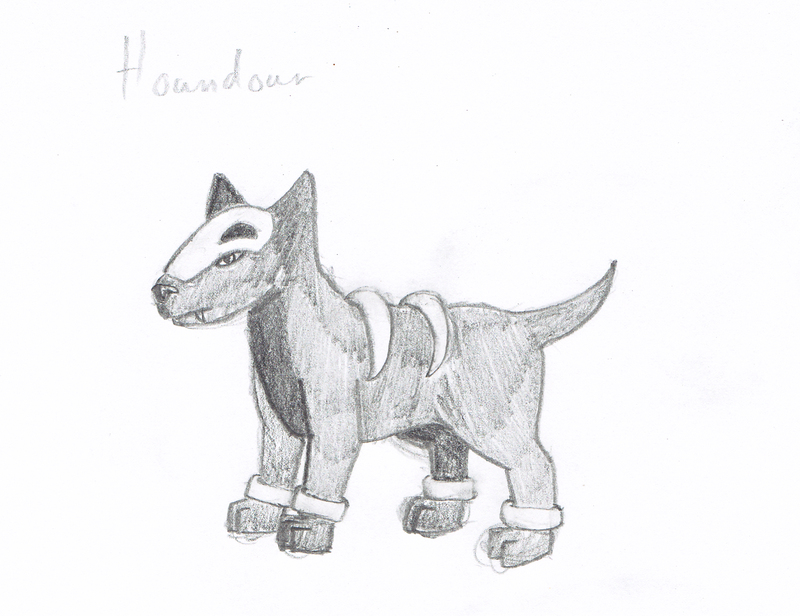 Houndour looks something like this. Bacon looks up at me and wags his black tail. He snorts through his upturned nose. ‘I said go!’ I point to the root of the tree where the neighbour’s cat was a few moments ago. Bacon looks the way my finger points then sits down tongue lolling. Bacon scratches himself vigorously behind the ear tongue still hanging out. 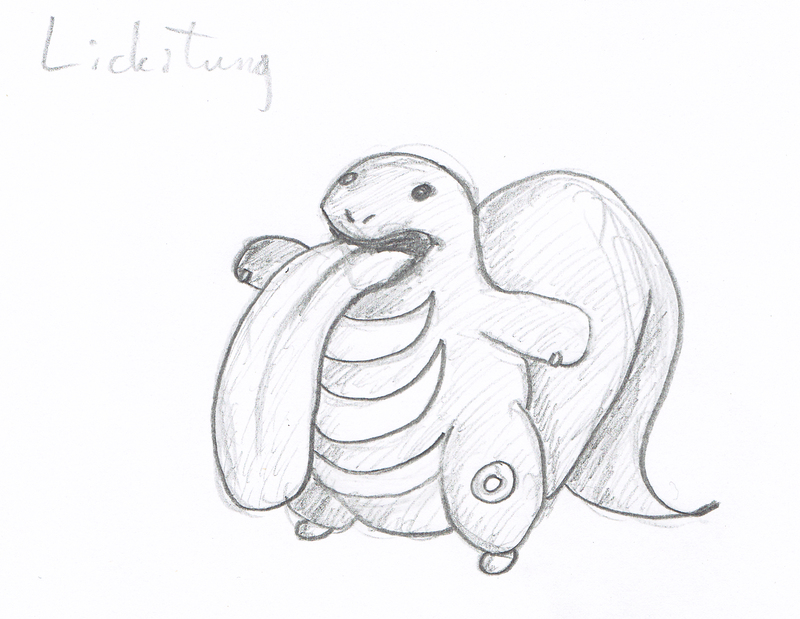 Lickitung looks something like this. But Bacon wags and wags and wags. Bacon looks very much like this.